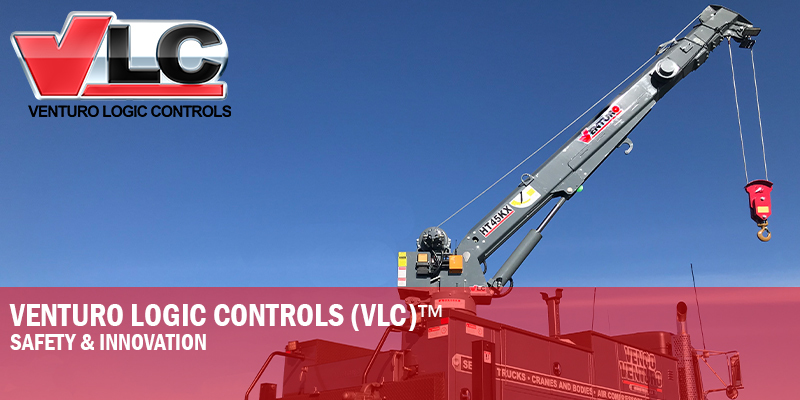 Venturo's all-new VLC™ Crane Control System. The role of high tech in the American service truck industry is playing a significantly more important role in new product development. One of the biggest impacts has been the development and acceptance of PLC systems (programmable logic controls). These European style control systems give the user greater control and safety features by using multiple sensors and user feedback functions with proprietary logic programming. This technology has been a long time coming and Venturo has developed its own system in 2018. Innovating the way you operate your crane. 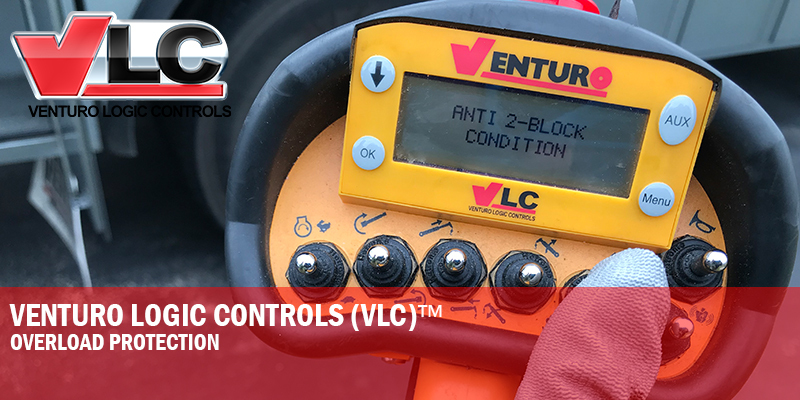 Venturo Logic Controls (VLC™) system provides safe crane operations, allowing more control of capacities throughout the load operation. 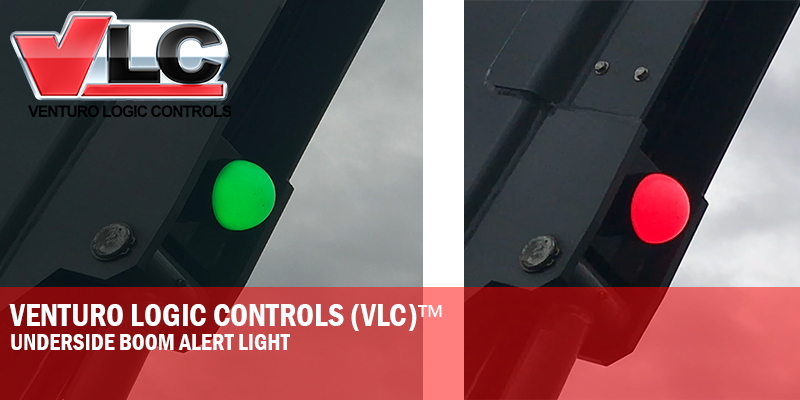 Features include vehicle stability/grade indications, overload protection, wireless or CAN communication, and multiple alerts and displays using multiple components. All-new wireless-remote, pistol-grip controller. 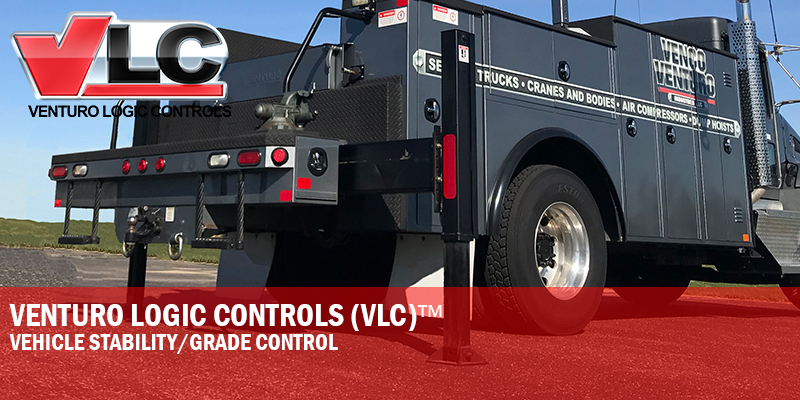 This will be a standard feature as part of the VLC™ system for ALL proportionally-controlled Venturo hydraulic service cranes. 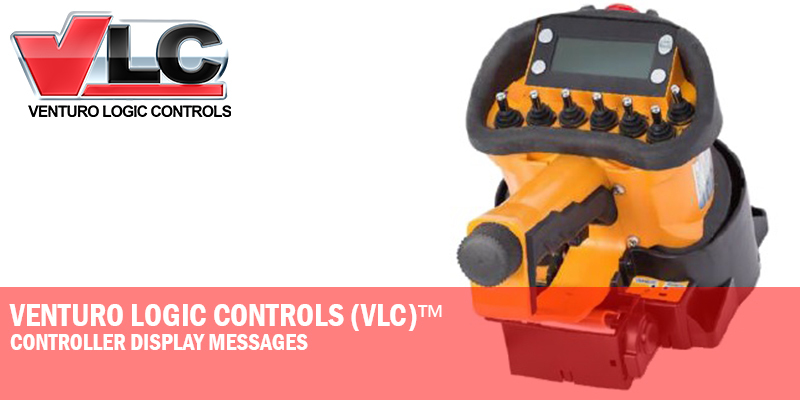 The VLC controller offers more comfort and less fatigue with over 60 hours of battery life, 4-line, 20 character display, (7) 2-way toggle switches, (4) momentary push buttons, Vibration and LCD display alerts with 2.4GHz wireless or Wired cable operation. Precision, overload-protection increases operator safety by controlling and preventing any type of overload on the crane. A result of this feature is a lighter-weight crane, which increases payload capacity on your service truck! Multiple display alerts for operators. Controller will display screen text during operation. 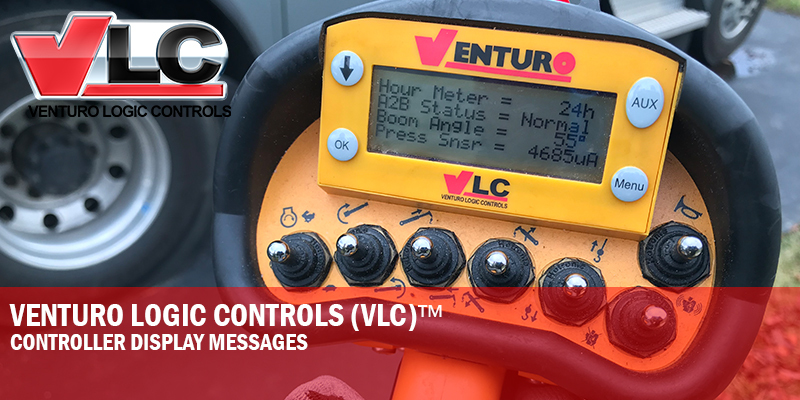 The VLC wireless-remote LCD display will give real-time load and status showing percentage of load, boom angle in degrees, and percentage of total capacity during crane operation. These messages also warn the operator of any conditions influencing the manipulation of a load. Increasing safety around the vehicle during operation. 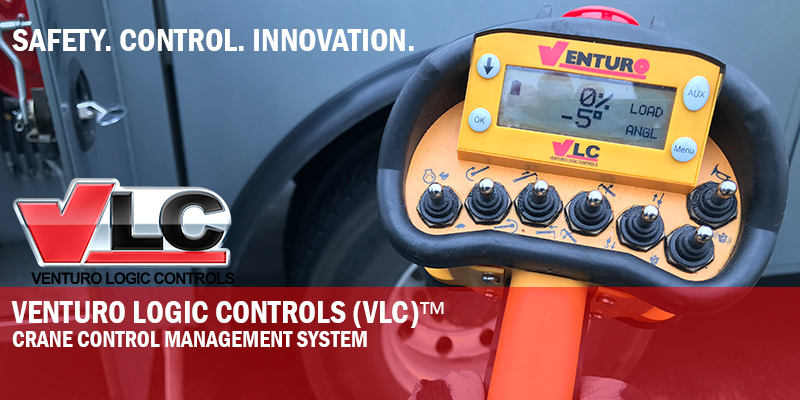 The VLC system includes vehicle stability and grade control. This function offers another safety feature for the operator during crane use. Maintaining the vehicle on a stable, level ground is paramount to safe crane operation.